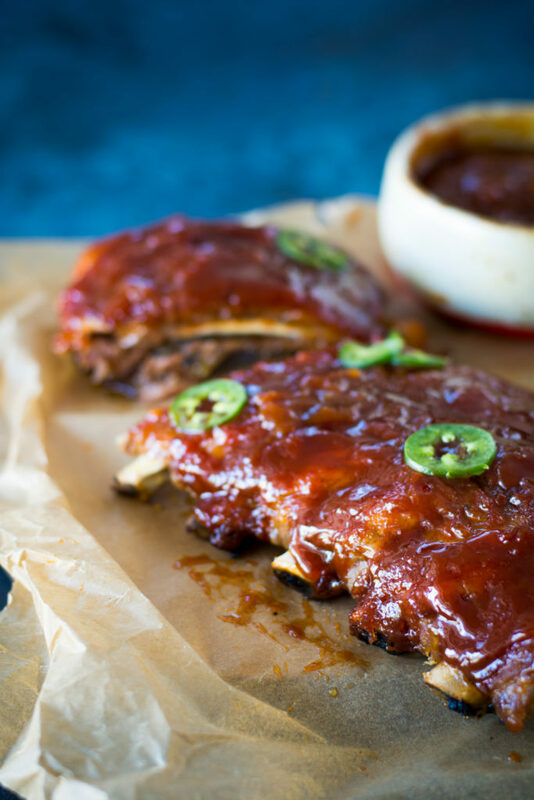 Apricot Ginger Beer Glazed Ribs made simple with the use of an electric pressure cooker then finished on the grill. From start to finish these Apricot Glazed Ginger Beer ribs took about an hour from start to finish. 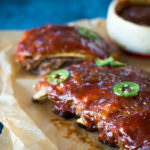 The ribs are tender and melt in your mouth in a fraction of the time. I have this reoccurring dream where I have a huge amount of people coming over for dinner and I’m not prepared. It’s generally feeding members of my church. Everyone is at my door waiting for food. I panic because I haven’t even completed the grocery shopping. How am I going to feed all these people? The lesson I take from this is to always be prepared. I try to have enough of my favorite ingredients on hand so that I’m not always rushing to the grocery store in order to pull off a meal. Well, Father’s Day crept up on me fast and needless to say I wasn’t very prepared. I did have a rack of ribs in my freezer, but no bbq sauce. I opened my cupboards and created these tender ribs with homemade bbq sauce in a little more than an hour. Booya! Use a butter knife to wedge it underneath the membrane to loosen and lift membrane up from the bone. Use a paper towel to grasp and pull the rest of the membrane off. Mix the rub coconut sugar, paprika, garlic and onion powder, salt, pepper, chili powder and cayenne pepper together. 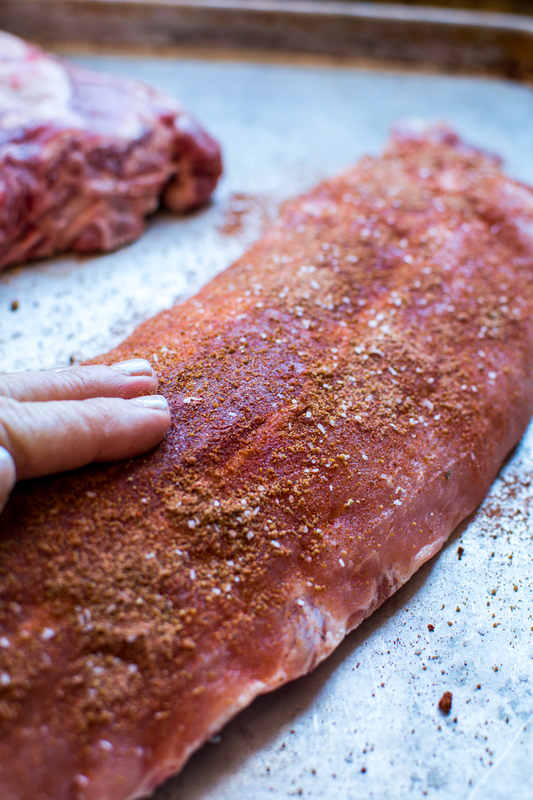 Rub seasoning over the top and bottom of the ribs. In order to make these ribs tender in such a quick time, I needed to pull out my pressure cooker. I placed the rack in the bottom and because liquid is needed in a pressure cooker, I added a 12 oz. bottle of ginger beer and 2 teaspoons liquid smoke. Cut the rack of ribs in half and stand on their sides in the pot, which I did not picture. I believe two racks will fit into the pot of my pressure cooker, but I cooked one. Seal the lid and place on high pressure for 30 minutes with a natural release. This process can take 45-55 minutes. 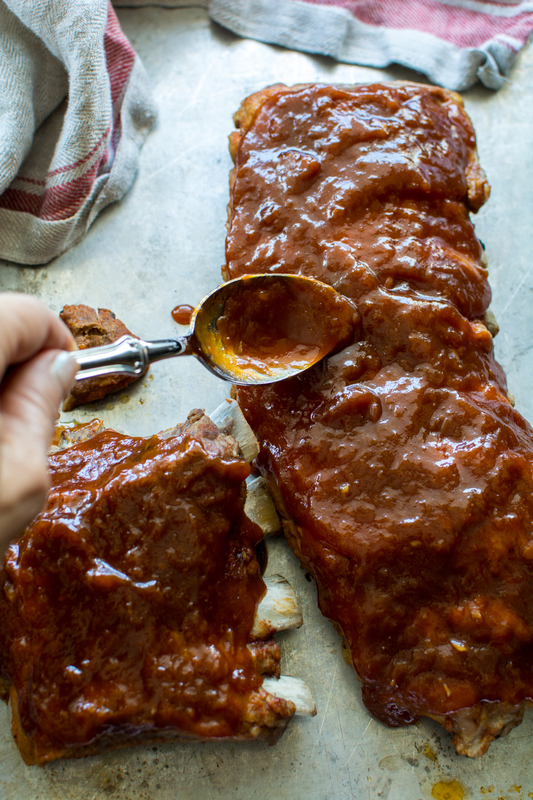 While the ribs are cooking, make the bbq sauce. I have found, if I have a bottle of some type of funky soda and a jar of jam, I can make a delicious bbq sauce. I call it my “dump” bbq sauce. I have made some sauces that could be bottled and sold. Sadly, I rarely write down the ingredients that I just dump in. 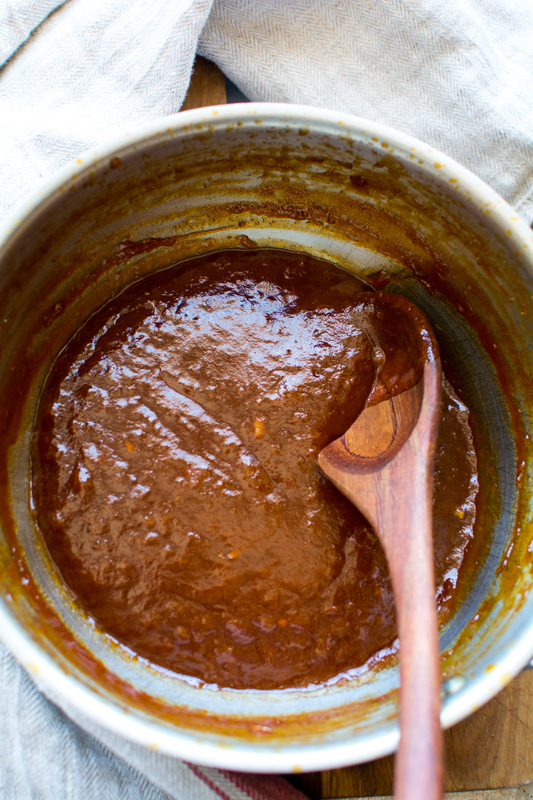 Whisk together all of the bbq sauce ingredients into a saucepan and bring to a boil. Once the mixture comes to a full rolling boil, turn the heat down to medium/low. 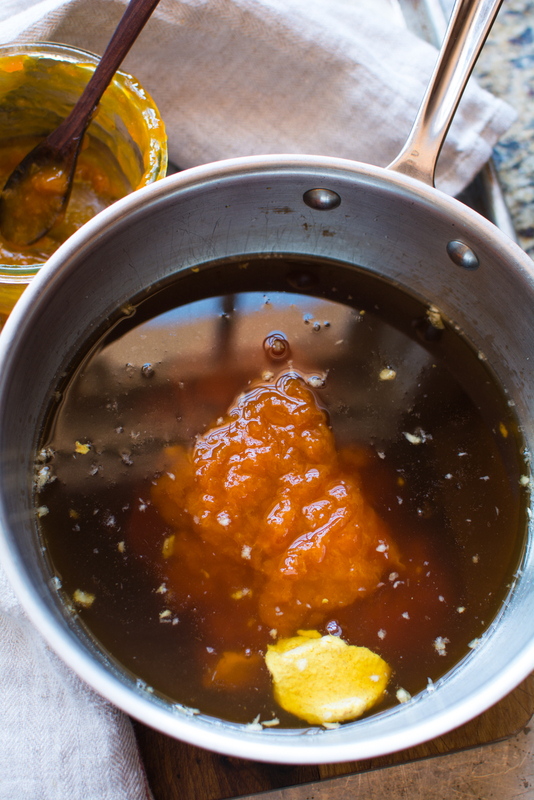 Simmer until sauce thickens. Remove from heat. Sauce can be made up to a week in advance. Store in a tightly sealed jar. Just so you know, I did not cut this rack of ribs. My local grocer did. Seriously? Why on earth would they cut 1/4th of the ribs off and place them under the remaining ribs and pack them??? Remove ribs from the pressure cooker and spread sauce over the tops of the ribs. Place on a hot grill, cover and cook for 15 minutes. 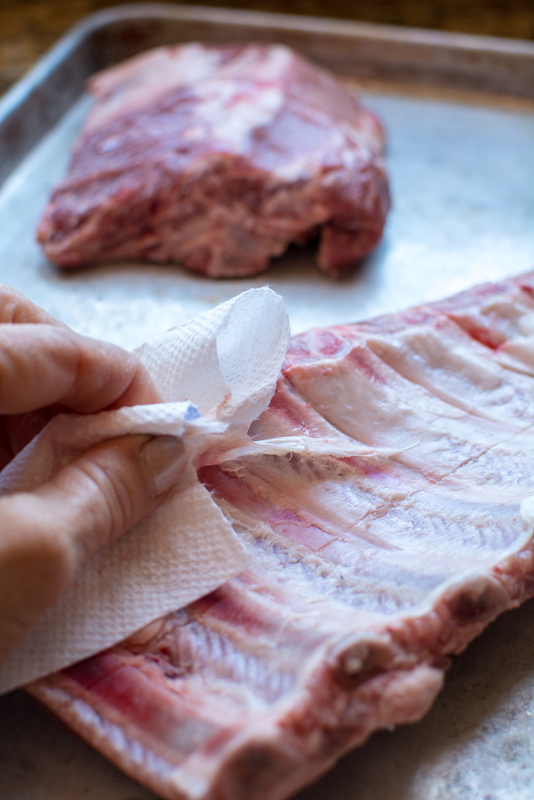 Remove from heat and carefully slice between each rib. Serve. 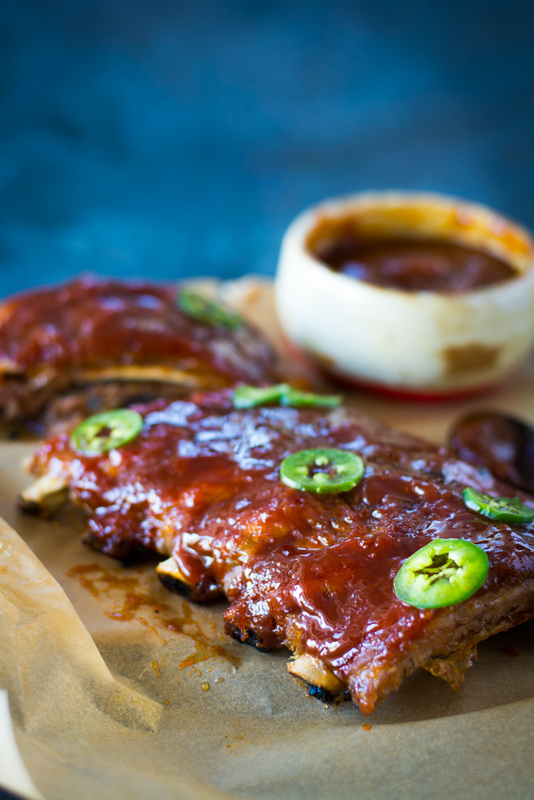 If you don’t have a grill, place the ribs under a broiler with the rack set in the middle of the oven. 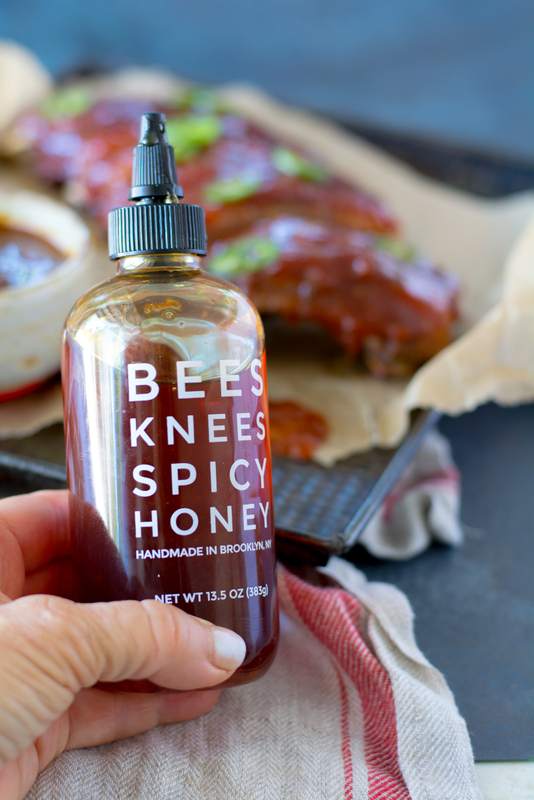 One last treasure I found in my cupboard…Spicy honey. I drizzled the ribs with the spicy honey and because we love heat in our house, I sliced one lonely jalapeno from my garden to add just a little more zing. In a small bowl combine coconut sugar, paprika, garlic and onion powder, salt, pepper, and cayenne. Stir to combine. Rub ribs all over with the mixture. 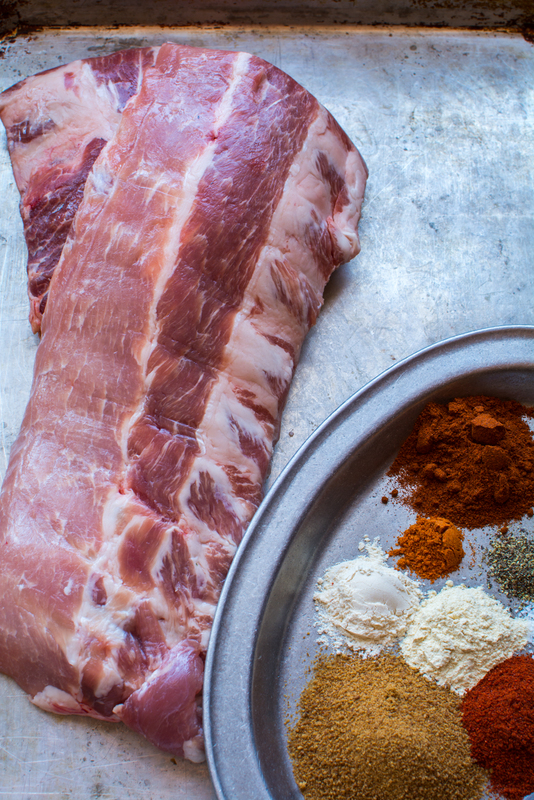 Cut the rack in half and rub a tablespoon of the mixture all over the ribs. Place rack in bottom of the pressure cooker. Pour ginger beer and liquid smoke into the pressure cooker or instapot. Stand the ribs on the sides and place the lid on. Set for high pressure and cook for 30 minutes. After 30 minutes allow pressure to release naturally. While the ribs are cooking make the apricot sauce. 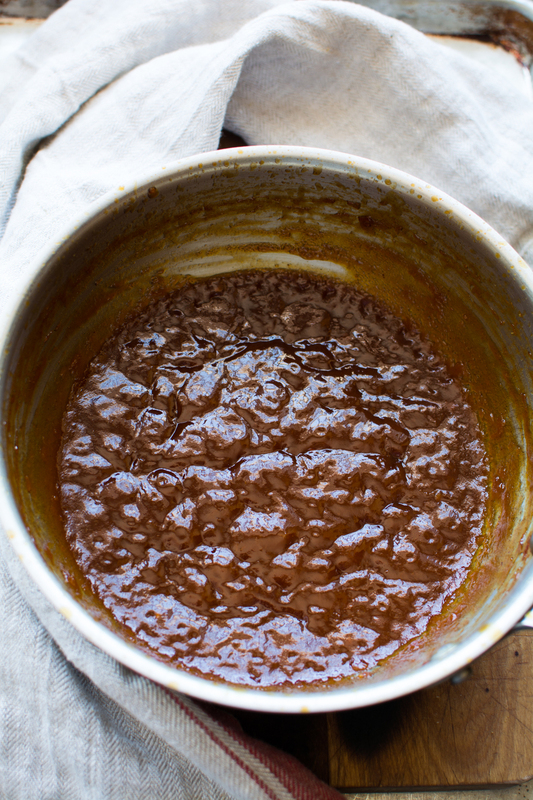 Combine all the ingredients for the BBQ sauce in a medium size sauce pan. Stir together and bring to a boil. Lower heat and continue to simmer until mixture is reduced and thickened. This should take about 10-15 minutes. Remove from heat. 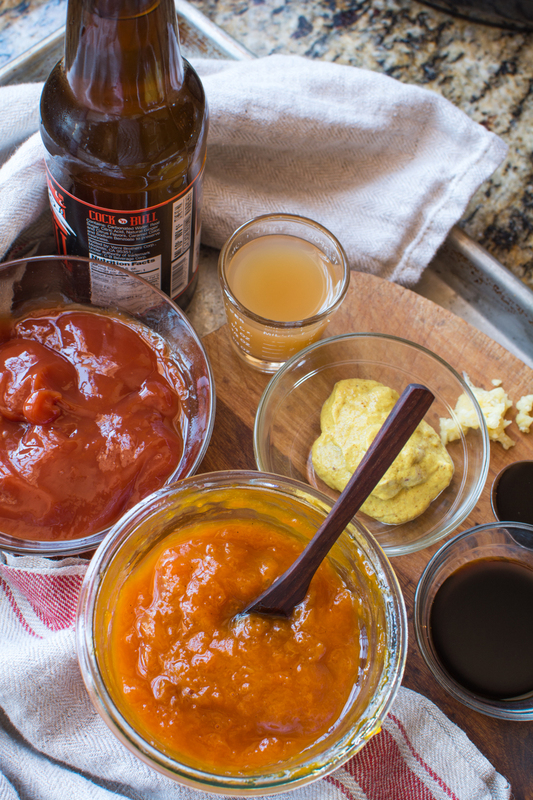 Sauce can be made 3-5 days in advanced and refrigerated until ready to use. 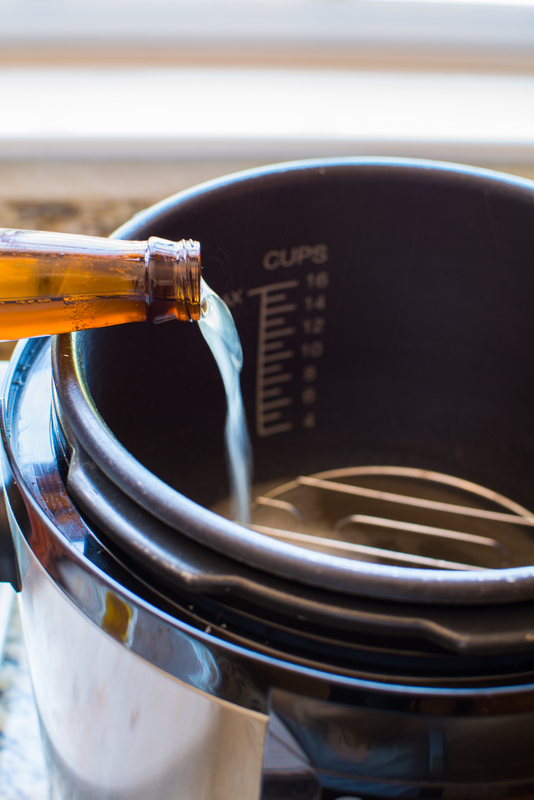 Once pressure cooker has completely released steam, remove the lid and carefully remove ribs. Remember the ribs are extremely tender and can easily fall apart. I like to place them on a baking sheet to transfer to a hot grill. Preheat a grill to medium heat. Gently place the ribs on the grill and spread 1/4 cup of the sauce over each 1/2. Close lid of grill and allow ribs to cook for 10-15 minutes, Watch carefully so ribs don’t burn. I only glaze top side of ribs. Once the BBQ sauce is bubbling on the ribs, gently remove to a cutting board. Allow to sit for a few minutes to cook slightly before slicing. Serve with remaining BBQ sauce. Serves 2-3. 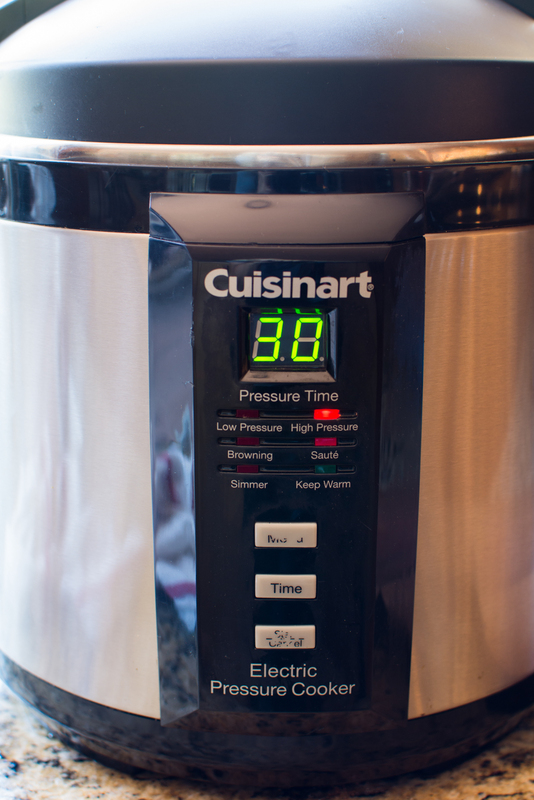 *Note: If a pressure cooker/instapot isn’t available, ribs can be cooked in a crockpot for 6-8 hours on low heat. Hi, I’m planning on making these today. It says to pour the ginger beer into the instapot when it’s time to cook the ribs. so does that mean that the ginger beer shouldn’t be mixed into the sauce ingredients? So when mixing the souce ingredients ahead of time, don’t include the ginger beer? It appears there is an error in the recipe. Thank you for bringing this to my attention. I should have listed an additional bottle of ginger beer and 2 tbl liquid smoke to the ingredient list. I’m so sorry…my bad. I hope you didn’t have problems with your ribs. I have corrected the error.